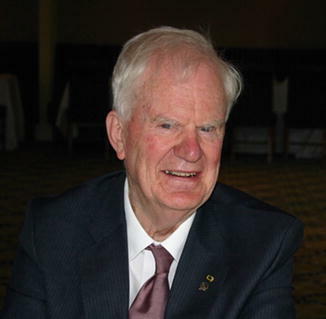 Michael A. Hayes (∗August 02, 1936 in Kilfinane, County Limerick, Ireland; †January 01, 2017 in Dublin, Ireland) was a mathematical physicist with special interests in finite elasticity, elastic wave propagation, and the use of ellipses in mechanics. Michael Hayes was born in the small market town of Kilfinane, in County Limerick, Ireland, on August 02, 1936. He was the second of four sons. He first attended the local primary school and then moved with his family to the city of Limerick. There he attended the Christian Brothers secondary school of Sexton Street, where his facility with mathematics and science was quickly recognized.